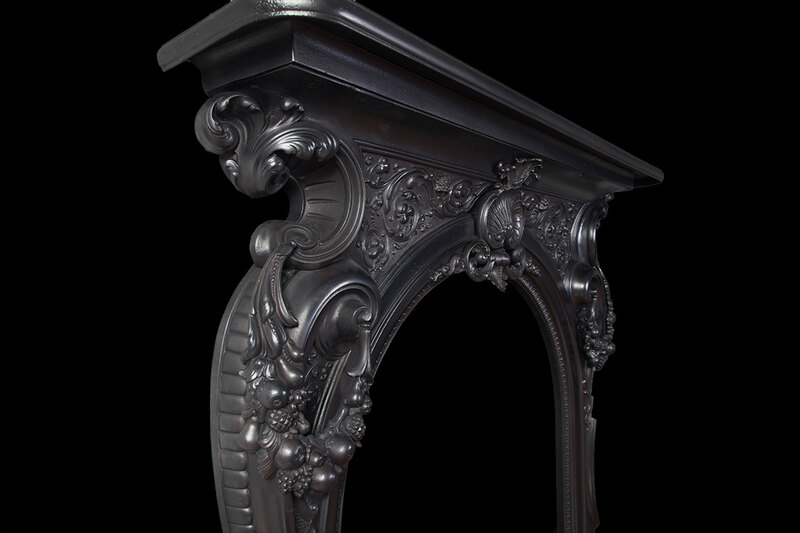 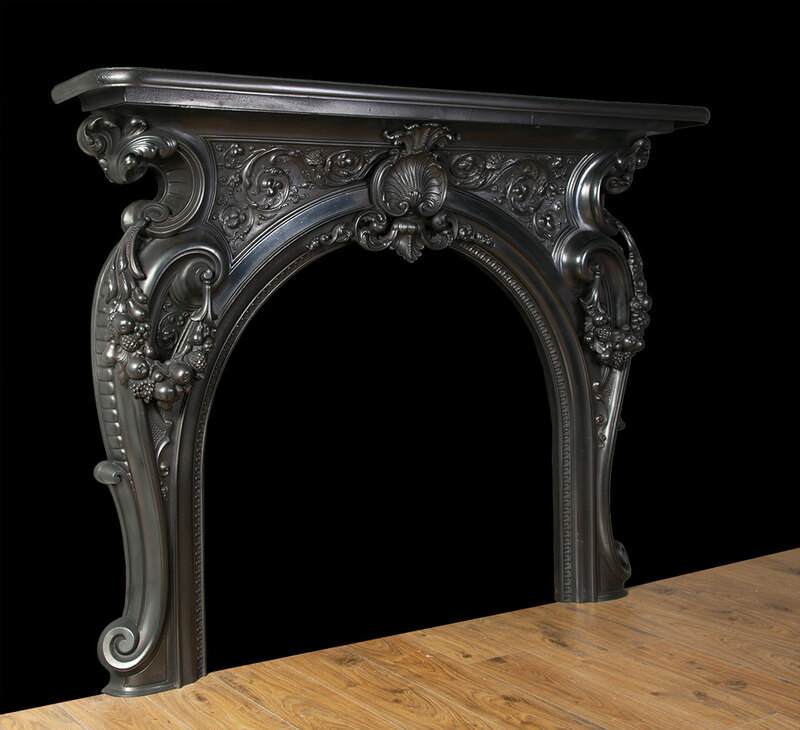 Exceptional quality, having very fine Rococo style castings and applied swags of fruit to each of the C scrolled side. 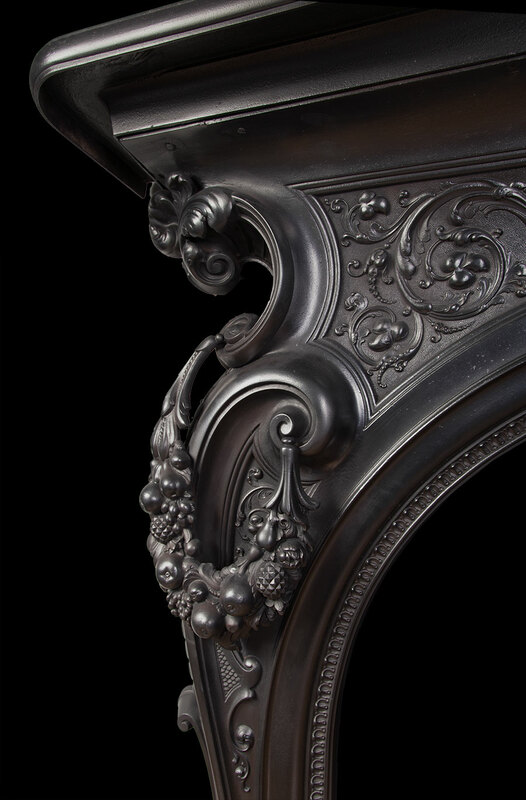 The large centre cartouche which incorporates a clam shell, is in full relief. 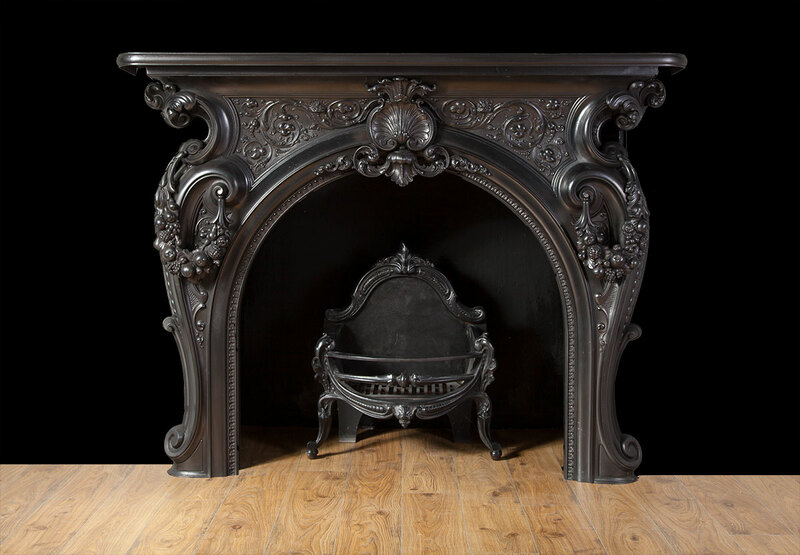 Registered stamp on the back dates the fireplace to December 1854.